HIAWASSEE, Ga.- Slightly more citizens than usual turned out at the council’s regular session at Hiawassee City Hall Tuesday, Feb. 5, to hear the five elected officials’ verdict on several issues, including the wastewater expansion bid, a pending sign ordinance, the city’s five-year strategic plan, and a proposal to expedite the adoption of future mandates. Mayor Liz Ordiales opened the session by reminding the public that comments are not permitted during regular sessions, rather work meetings are the proper time to offer citizen input as they are “informal” gatherings. “That is the place for all kinds of public input,” the mayor said. Concerning the sign ordinance, council dialogue revolved primarily around banner advertising. After lengthy discussion, the council resolved to amend the tenative ordinance, eliminating a $15.00 fee for businesses to hang banners, and removing the verbage pertaining to the amount of banners a business is permitted to display annually. A single banner, not to exceed 60 square feet in diminsion, is expected to remain in the decree. The council agreed that banners should be kept in presentable condition. An extended sign permit moratorium remains in place while the council reconstructs the ordinance. Later in the session, Hiawassee City Council unanimously adopted the city’s 2019-2024 revitalization plan. Upon motion from Councilwoman Anne Mitchell and a second from Patsy Owens, Councilman Kris Berrong initiated discussion, explaining that he, along with community members, harbor hestitation. “Concerns of a few that have the strategic plan, and me, personally, I think that we need to talk about it a little bit more. I’m for a lot of it, but we kind of went over it one time with (Georgia Municiple Association) and that was about it,” Berrong relayed. “But you have a copy,” Councilwoman Anne Mitchell interjected. “I do,” Berrong replied, adding that he was not confident in exactly what might occur when Mitchell pressed. Council members Amy Barrett and Nancy Noblet offered that they had spoken with business owners who had voiced similar concerns. When a local business owner’s concerns were specifically outlined by Council member Amy Barrett during the session, Mayor Ordiales stated that the owner in question was invited to participate in the focus groups and declined the offer. FYN contacted the business owner the following day and was surprised to learn that the owner had, in fact, attended a focus group, but did not recall receiving any type of follow-up initiated by the city of Hiawassee. During the council’s work session the week prior, McKay listed public art in the form of murals as the third project, rather than the town square, when FYN publicly inquired into the initial three-fold plan. A resolution to award the wastewater expansion project to SOL Construction, the lowest bidder, was approved by the full council during the meeting. Mayor Ordiales projected completion by fall of this year. The session concluded with 3-2 rejection of the mayor’s proposal to enact single-session ordinances. Additional information on the issue is available by clicking this link. Hiawassee City Council assembles for their monthly work session Monday, Feb. 25, at 6 p.m.
HIAWASSEE, Ga. – There is no denying that times are always changing, and the sleepy, little town of Hiawassee, Georgia, population 903, is on a fast track to follow suit. 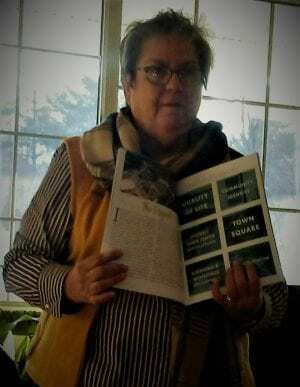 While transformation is inevitable and often welcomed with open arms, members from the community have begun voicing their views on what it could mean for the lower-income population, and ultimately, the indigenous culture that has inhabited Towns County for centuries. The course of action that the city of Hiawassee plans to enact implores the question of whether gentrification is at play. 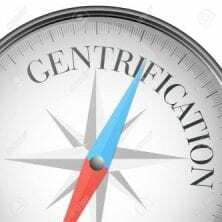 While most people understand the process and effects of gentrification, many remain unaware that an actual term exists. Merriam-Webster defines gentrification as “the process of renewal and rebuilding, accompanying the influx of middle class or affluent people, into deteriorating areas that often results in the displacement of earlier, poorer residents.” In order for these areas to be revitalized, the areas must be essentially cleared out. This is achieved through the raising of taxes and service rates, often beyond the point of affordability. During last year’s property tax increase hearings, Hiawassee Councilwoman Amy Barrett raised concern that senior residents on fixed-incomes are relocating due to heightened electricity costs, citing the city-imposed BRMEMC francise “fee” as the reason given by the displaced. While the full council favored the franchise, the mayor’s proposal to reject the property tax rollback was ultimately defeated in a 3-2 vote.. On Jan. 28, Hiawassee Mayor Liz Ordiales divulged that a water rate increase is in the works, explaining that it has been six years since a spike last occurred. On a cultural front, community concerns began to surface during a June town hall meeting, held in conjunction with the University of Georgia (UGA) Carl Vinson Institute of Government, which focused on a strategic, comprehensive project to sculpt the future of Hiawassee. While program participants overwhelmingly favored noble plans such as boosting tourism, advancing city beautification, and creating structured, economic growth, other suggestions raised eyebrows, particularly from the conservative population. Leslie McPeak – a vocal, local business owner who was later exhalted to the city’s Board of Ethics by Mayor Ordiales – suggested deviation from long-held traditions, including a reduction in the amount of gospel and country concerts hosted in the area, determination that shops open their doors on Sundays to boost economic reward, and an assertion that the city should steer clear from the “Bible-Belt stigma” that has prevailed in Towns County since its foundation. Months later, when the strategic plan was completed and introduced at Hiawassee City Hall, McPeak publicly inquired whether eminent domain, a highly-controversial practice in which the government expropiates private property for public use, was an option to abolish what McPeak considered an unattractive local business. A representative from the Carl Vinson Institute responded that grants, rather, may be available to encourage compliance with the city’s aesthetic vision. Additionally, McPeak drew media attention during a previous council session by harshly critizing a Republican election rally held last July on Hiawassee Town Square. In recent events, Mayor Ordiales, who has been repeatedly praised as “progressive-minded” by supporters – in collaboration with newly-hired Economic Developer Denise McKay – stated during the council’s January work session that the city holds ambition for private land to be purchased by developers to construct “affordable” apartment housing in order to retain the local youth once they enter the work force. The topic was broached when a citizen in attendance skeptically called into question the city’s goals for current residents and business owners. Ordiales replied that workers will be needed to fill certain positions, listing boat mechanics and hospitality workers as examples, due to a projected influx of a population which will require such services. Unprompted, Ordiales concluded that $800 a month in rent is considered reasonable, retracting the amount to $700 after the council and citizens failed to express a reaction to the mayor’s initial figure. Upon query from FYN, Economic Developer McKay listed the inceptive phase of the project that Hiawassee intends to implement, and according to McKay that includes improving the appearance of the outdated post office and sprucing the entrance to Ingles while seeking a grant for artists to begin painting murals throughout the city. It should be noted that the revitalization and preservation of historic structures is listed in the city’s five year plan, with Mayor Ordiales often referencing the Old Rock Jail museum as a point of reference, a site entrusted to the Towns County Historical Society by former Commissioner Bill Kendall. Ordiales stated to Mountain Movers and Shakers Jan. 25 that two developers have shown interest in the vacant row of buildings on Main Street, west of the town square, although the structure located next to where Delco once stood will be demolished when purchased. Ordiales recited significant achievements in lowering the city’s inherited debt, acquiring numerous grants, and engineering a plan to improve the infrastructure – all critical components in expanding Hiawassee’s development – during the Movers and Shakers’ forum. 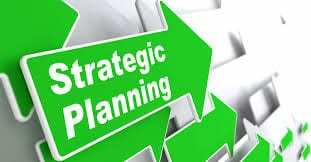 While a range of participants took part in the creation of the strategic plan, the contributors represent a small fraction of the population. The Carl Vinson Institute of Goverment described the project as a stepping stone, however, rather than an endeavor set in stone. In sum, while economic growth and positive innovation is widely supported, it is the opinion of the author that the effect of particular politics and policies, left unchecked, has the potential to deteriorate the backbone of conservative communities, both fiscally and culturally. This is especially true if the public whom it affects remains disengaged from local happenings, and apathetic to eventual outcomes. Hiawassee City Council is scheduled to convene on Tuesday, Feb. 5, for their regular meeting to adopt the city’s strategic plan, as well as hold a first reading to expedite future ordinances by consolidating readings into a single session. Public comment is prohibited during regular meetings. The next work session, which will allow citizen input, is scheduled for Monday, Feb. 25, at 6 p.m.
In-depth information on the above, highlighted texts can be found by clicking the links. HIAWASSEE, Ga. – A delayed council vote on the potential adoption of the proposed City of Hiawassee 2018-2019 budget was announced at the regular session held Tuesday, Oct. 2, at City Hall. Mayor Liz Ordiales recognized that the final reading is required to be publicly advertised prior to adoption, a measure that was overlooked. The final reading was rescheduled for Monday, Oct. 28, during the council’s work session. Prior to a motion to adjourn, Councilwoman Amy Barrett inquired as to whether the previous budget would remain in effect until the second reading takes place. Mayor Ordiales stated that it would remain fixed until the 2018-2019 budget adoption. Minutes regarding the numerous millage rate meetings and September sessions were approved without opposition. The first reading of an ordinance to enact Municode Digital Listing, a process which will transfer city mandates from printed documents to an online venue, was unanimously favored by council. The ordinances were solely housed in a series of binders prior. The annual Halloween event was discussed, with plans to relocate the festivities from Hiawassee Square to the Towns County Courthouse grounds confirmed. The Old Rock Jail will transform into a haunted house attraction and candy booths for trick-or-treaters will surround the courthouse porch. The event is scheduled to begin at 5:30 p.m. on Wednesday, Oct. 31. Scarecrows are beginning to appear on Hiawassee Town Square, a new addition to the city’s fall tradition, with Mayor Ordiales acknowledging the creativity of participants. Hiawassee City Council meetings are open to the public. Questions and concerns from citizens are addressed at work sessions, the last Monday of each month. HIAWASSEE, Ga. – Hiawassee Council is due to vote on the City’s 2018-2019 budget Tuesday, Oct. 2, following a public hearing held Monday, Sept. 24. Preceding a line-by-line discussion of the proposed budget, Hiawassee City Council adopted the rollback rate of 2.170 mills in a 3-1 vote. Council members Amy Barrett, Kris Berrong, and Nancy Noblet favored the rollback, with Councilwoman Anne Mitchell solely opposing the reduced tax. Councilwoman Patsy Owens was absent from the meeting, reported by Hiawassee Mayor Liz Ordiales to be traveling. Owens, however, along with Mitchell, rejected the property tax rollback earlier this month, favoring what would have amounted to a tax increase for city property owners. Concerning the budget, generated revenue applied toward the General Fund is expected to amount to $798,830, an increase of slightly over $33,300 from the previous fiscal year. The rise is due in part to the collection of an anticipated $70,000 in franchise fees imposed on Blue Ridge Mountain Electric Membership Corporation, which in turn has been passed along to customers. General Expenses are expected to total $544,780, leaving the General Fund with a surplus in excess of $254,000. Income derived from the Hotel-Motel Tax is listed at $85,000, with outgoing expenses to Towns County Chamber of Commerce, the Tax Commissioner, and local tourism payments, setting that particular budget flush. SPLOST income is null as it it is non-existent. The Sewer and Water Treatment Funds are expected to break even at $721,650 for Sewer, and $860,345 for Water Treatment. Income toward the Water Fund is listed at $1,679,000, with expenses totaling $1,154,470. “This fund has a little bit more money so it’s not so bad,” Mayor Ordiales stated. A total of $12,000 is listed for General Education and Training of City staff, a stark increase of $10,000 above the 2017-2018 initial proposal. Additional training for City Council remains fixed at $5,000. Councilwoman Amy Barrett countered that line items within the budget were “freed up” the previous year, such as cuts to employee benefits, along with the addition of revenue derived from the franchise fee. Furthermore, Barrett inquired into the $17,000 applied to City Hall communications, a $7,000 increase from the 2017-2018 initial budget proposal, separate from the mere $3,000 allotted for Hiawassee Police Department’s communication needs. 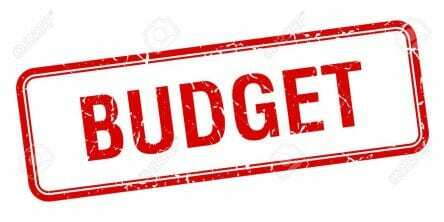 Hiawassee Council is scheduled to convene at City Hall at 6:00 p.m. on Tuesday, Oct. 2, to accept or reject the mayor’s proposed budget. 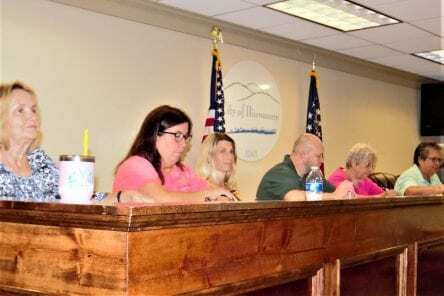 HIAWASSEE, Ga. – Hiawassee Council rejected what would have amounted to a property tax increase for city residents and businesses owners on the evening of Tuesday. Sept. 11, 2018, immediately following the third of three state-mandated public hearings. A proposal to maintain the current millage rate of 2.258, which would result in greater taxation due to heightened property assestments, was set forth by Hiawassee Mayor Liz Ordiales on Aug. 16. Council members Anne Mitchell and Patsy Owens supported Ordiales’ tax increase, with Mitchell motioning and Owens quickly seconding. Council members Amy Barrett, Kris Berrong, and Nancy Noblet opposed the motion, rejecting the mayor’s incentives. “I feel it’s crunch time for us instead of (the taxpayers),” Barrett expressed during the hearing. Numerous citizens in attendance at the hearings, along with Barrett, Berrong, and Noblet, voiced concern for economically challenged residents within the community, stating that the increase could further affect their ability to adequately subsist. Barrett noted instances of known elderly residents on fixed incomes relocating elsewhere due to the BRMEMC franchise tax, an ordinance adopted by the city of Hiawasseee earlier this year, revealing that additional citizens have stated clear intent to vacate as well. Furthermore, Barrett and Noblet claimed that area businesses have vowed to relocate outside of city limits. Berrong previously relayed that he, too, has received ample objection to the advertised rejection of the reduced rollback rate. Councilwoman Mitchell remained uncharacteristically muted throughout the hearing, with Owens exclusively shaking her head “no” in obstinance to the concerns raised by the taxpayers in attendance. Ordiales asserted that the increased 2018 tax digest was the result of $4.5 million in newly-assessed properties, and compared the millage rate of Hiawassee to surrounding municipalities. Out of 15 cities listed, with the exception of Blairsville, Hiawassee remains the lowest. Accepting the rollback rate of 2.170 mills will increase the city’s revenue by $2123, while the current rate of 2.258 mills would have provided slightly over $7000. Ordiales encouraged the council to direct citizens to her office, should they harbor consternation. Councilwoman Nancy Noblet publicly responded that many residents do not feel comfortable approaching Ordiales with issues of importance, as they have allegedly reported feeling “bullied” by the mayor’s reproach, a concern raised during a live interview with Ordiales, aired by FYNTV.com prior to the mayoral election in 2017. 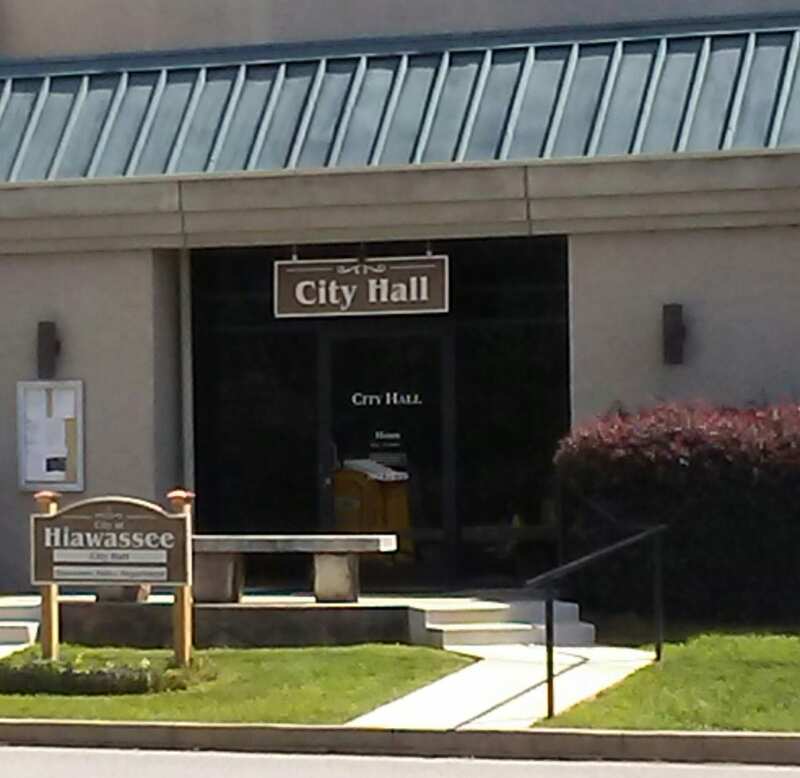 A final reading regarding the rejection of the tax increase is scheduled to occur during the upcoming Hiawassee Council work session on Sept. 24, at City Hall. HIAWASSEE, Ga. – Hiawassee City Council convened for their regular monthly session on Tuesday, July 10, unanimously approving motions to venture forth on a water line mapping project, acceptance of a quote for property risk insurance, and in favor of an alcohol brunch resolution. Property risk insurance quotes were presented by Timothy Barrett, owner of local Barrett and Associates Insurance, during the June 26 work session. Barrett, a partner with Gainesville’s Norton Agency, recommended a $36,133 quote with a two-year guarantee from Georgia InterLocal Risk Management Agency (GIRMA). In comparison, Selective Insurance, the agency providing present coverage for the City of Hiawassee, offered a renewal rate in the amount of $42,796. 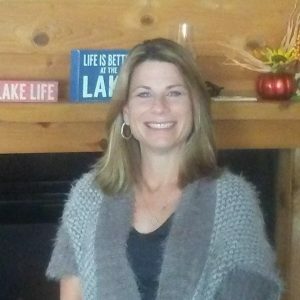 Hiawassee Councilwoman Amy Barrett, the wife of Timothy Barrett, avoided conflict of interest by exiting the session during the presentation and yesterday’s vote. Councilwoman Patsy Owens motioned, with Nancy Noblet seconding. Councilmembers Anne Mitchell and Kris Berrong voted in unified agreement. Of note, Barrett and Associates were cited as selected several years prior to the election of Councilwoman Amy Barrett. Councilman Kris Berrong favored the motion, with Councilwoman Patsy Owens seconding. The three remaining council members unanimously supported the project. A motion to approve the brunch resoluton which will permit residents to vote on November’s ballot as to whether to allow local establishments to serve alcohol on Sundays beginning at 11:30 a.m., rather than the current time of 12:30 p.m., was favored by the full Council. Councilwoman Anne Mitchell raised the motion, with Kris Berrong offering secondary approval. 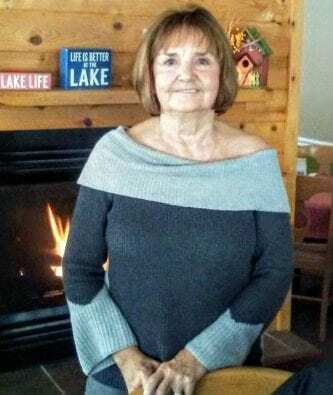 Mayor Ordiales announced at the commencement of the session that she was proudly awarded “Citizen of the Year” by the Towns County-Lake Chatuge Rotary Club. Old Business consisted of plans for the Moonshine Cruiz-In Festival “drive-in” movie presentation of the 1978 movie “Grease,” scheduled for Wednesday, July 11, on Hiawassee Towns Square. The event will begin at 7:00 p.m. with a disc jockey providing music as the classic cars roll into town. The movie itself is scheduled for dusk. The second annual Moonshine Cruiz-In Block Party luncheon will be held on Thursday, June 12, on the town square. Five food vendors are expected to participate, with local Cub Scouts selling beverages. Mayor Ordiales reminded that floor covering replacement is currently underway throughout the lower-level of Hiawassee City Hall, and proceeding on schedule. 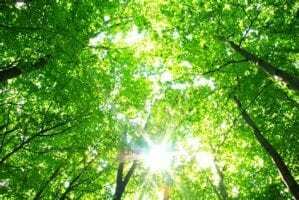 HIAWASSEE, Ga. – The City of Hiawassee has adopted yet another mandate, this time a tree ordinance which has the potential to impact the owners of private property. A “City Tree Board” has been appointed, and while the bulk of the responsibilities entrusted to the committee involves the cultivation and maintenance of trees located upon city property, the ordinance includes a clause pertaining to trees growing on privately-owned land. The decree was brought to the attention of FetchYourNews (FYN) by a citizen at a recent town hall meeting. 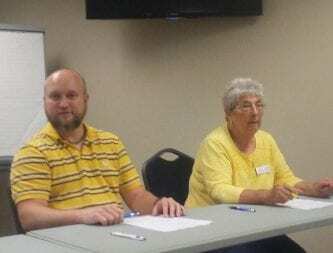 FYN filed an open record request with City Hall to review the ordinance, and spoke briefly with Hiawassee Mayor Liz Ordiales on the morning of Thursday, June 21. Ordiales noted a massive, trimmed evergreen located on the county courthouse grounds as an example of the ordinance. “That’s what we don’t want,” Ordiales said, referring to resulting appearance from the tree-topping technique. While courthouse staff agreed the pine is unsightly, trimming was warranted years prior due to interference with overhanging electrical lines. 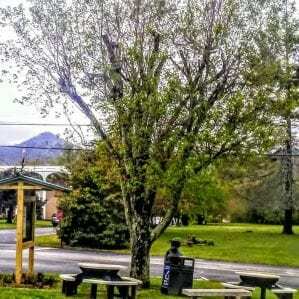 A maple tree was recently removed from the southeast corner of Hiawassee Town Square after the tree was deemed dead, and according to Mayor Ordiales and Hiawassee Attorney Thomas Mitchell, allowing the tree to remain posed a liability risk to the city. Upkeep of trees on private property, which could endanger the public or impede access through city right-of-ways or streets, are listed in a separate segment of the decree. The first reading of the ordinance was approved May 1, 2018, by Council members Anne Mitchell, Kris Berrong, Amy Barrett, and Nancy Noblet. Councilwoman Patsy Owens was absent from the meeting. “It basically says that we’ll have trees in Hiawassee, and that we’ll take care of them,” Mayor Ordiales alluded at the previous work session. A finalized signature sheet is expected at the city’s monthly work session Tuesday, June 26, at 6:00 p.m. While said meetings typically fall on the last Monday of each month, the June session was rescheduled due to a training trip for city staff. 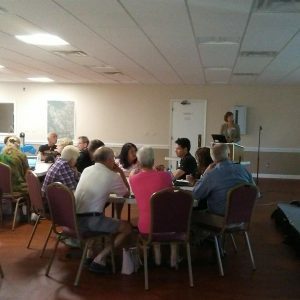 HIAWASSEE, Ga. – Dozens of community members and government officials gathered at the Towns County Civic Center on the evening of Tuesday, June 12, to discuss their visions for Hiawassee’s future. The City of Hiawassee has been working closely with the Carl Vinson Institute of Government, a unit of the Office of Public Service and Outreach at the University of Georgia, which assists state and local governments in achieving goals. Hiawassee received a $30,000 Appalachian Regional Commission (ARC) grant in 2017 to fund the study. Steering committees were chosen for the strategic planning endeavor, and previous meetings took place to gain insight. Correction: While the City of Hiawassee quoted a flat “$30,000” when asked the ARC amount, FYN learned post-publication that $21,000 was awarded, with an additional $9,000 matched locally, for a total of $30,000. Table-top discussion groups were formed prior to the start of the meeting, and ideas were projected onto a screen from laptop computers. Listed among what is “working” in Hiawassee’s favor was appreciation for local shops, commendation of Hiawassee Police Department, the seasonal events on town square, access to reliable contractors, and the overall “quality of life” in the mountains. Suggested improvements included an updated courthouse and post office, extended beautification efforts, the need for year-round activities, the creation of a city that will beckon visitors, a liquor store to raise revenue, the necessity for affordable housing, activities geared toward youth, improved public parking, and easily accessible recycling areas. City annexation was noted, as well as hope for increased cultural diversity, public art displays, replacement of “tacky signs” to give the city a uniformed appearance, and a desire to deviate from a “Bible-Belt” stigma. Hiawassee Councilwoman Nancy Noblet said she hopes the city will grow to become more than a retirement community. Councilwoman Amy Barrett expressed appreciation for tradition. Councilwoman Anne Mitchell used the word “bustling” to invoke her vision for the city’s future. Carl Vinson Project Manager Jessica Varsa led the meeting, with the assistance of colleauges from the institute. Varsa relayed that another forum may take place next month, with efforts expected to wrap up in November. “I want to see the city grow, but I also want it to remain a small-town because it’s home,” said Towns County Sole Commissioner Cliff Bradshaw, a planning committee member. 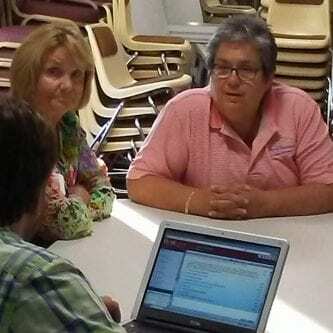 Hiawassee Council members Patsy Owens and Kris Berrong attended the forum.